Aaron Josh Friedman was born on August 26, 1986 to his parents Gail and David. The oldest of three children, he was a lively and energetic boy with a delightful and fun-loving personality. Even as a child Aaron was a mentsch and a good friend to all who knew him. After receiving a strong Jewish elementary and middle school education at Kadima Hebrew Academy, Aaron attended Granada Hills Charter High School where he was on the football team. He then attended Arizona State University until he found his passion and went to Le Cordon Bleu Culinary Institute in Scottsdale, Arizona. The Friedman family has always been active in numerous causes including many Jewish organizations, and it comes as no surprise that throughout his high school and college years, Aaron was very involved in Jewish activities. Of note was his very close relationship with Rabbi Shmuel and Chana Tiechtel, the directors of Chabad at ASU. From a young age, Aaron had a unique love for all types of culinary experiences. 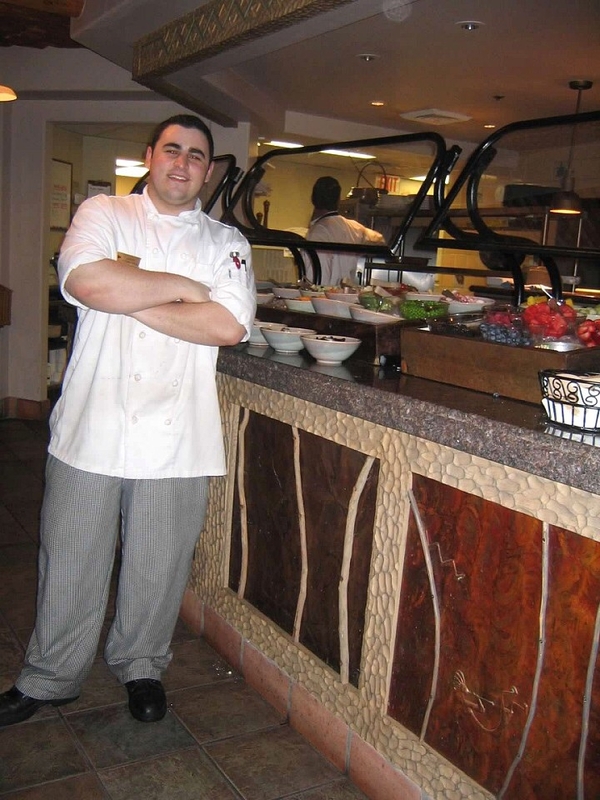 After graduating from Le Cordon Bleu, Aaron become an executive chef at Gold Canyon Golf Resort in Gold Canyon, Arizona, where he was able to wed his passion for cooking with his professional life. He had a special love for his family and enjoyed working with and teaching children. On November 28, 2016 Aaron suddenly and tragically passed away at the young age of 30. He was deeply mourned by his family and all those whose lives he touched. Jewish tradition teaches that while our physical presence is temporary, our souls are eternal, and we can connect with the soul of a loved one through honoring their memory and performing acts of kindness on their behalf. In conjunction with Aaron’s first yahrzeit, the anniversary of his passing, his family decided to create an eternal and meaningful legacy, by founding and dedicating Aaron’s Culinary Experiences in partnership with Chabad of Northridge. As an outreach organization, Chabad employs many creative avenues to bring the warmth and joy of Judaism to individuals of all backgrounds and affiliations. One of the most effective and positive avenues has been Educational Culinary Experiences, such as Mini Chefs for pre-school children, and Kids in the Kitchen for elementary school youth. The children cook, and learn about Jewish tradition connected with that particular food. This meaningful dedication, will broaden and deepen the reach and impact of these existing culinary programs, as well reach for new horizons, such as educational cooking programs for teens, adults and seniors, all under the banner of Aaron’s Culinary Experiences. Without question this brings tremendous satisfaction and elevation to the special and lofty soul of Aharon Yehoshua ben David v’ Gila, Aaron Friedman. Yehi Zichro Baruch. May his memory always be for a blessing.